Text Reference Number wnh12 What’s this? The winning bidder will not be entitled to a charitable deduction for the bidder's purchase of the item from NHL.com. 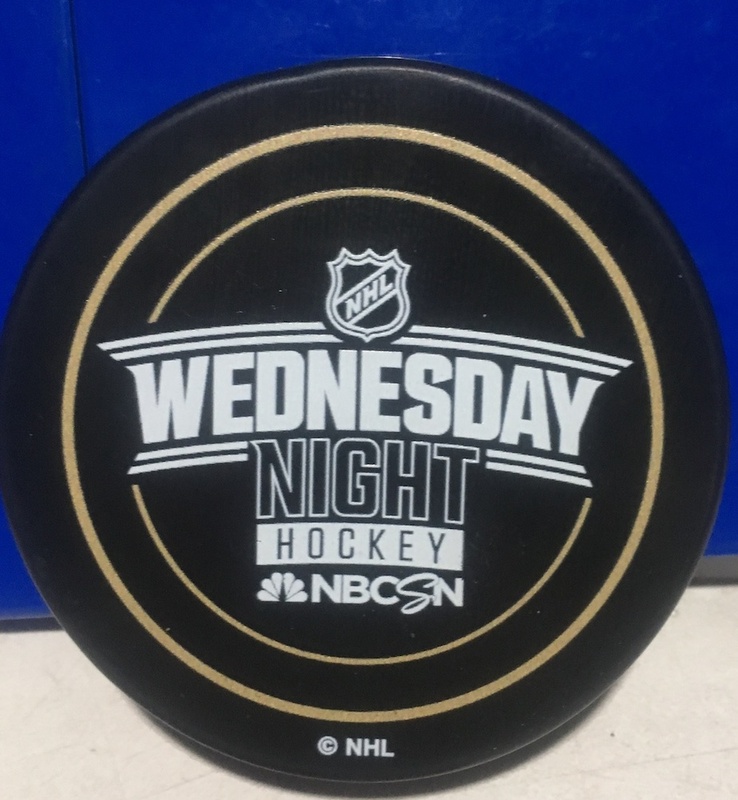 After each Wednesday Night Hockey Game, a Player of the Game will be named and interviewed live on the air on NBC Sports. 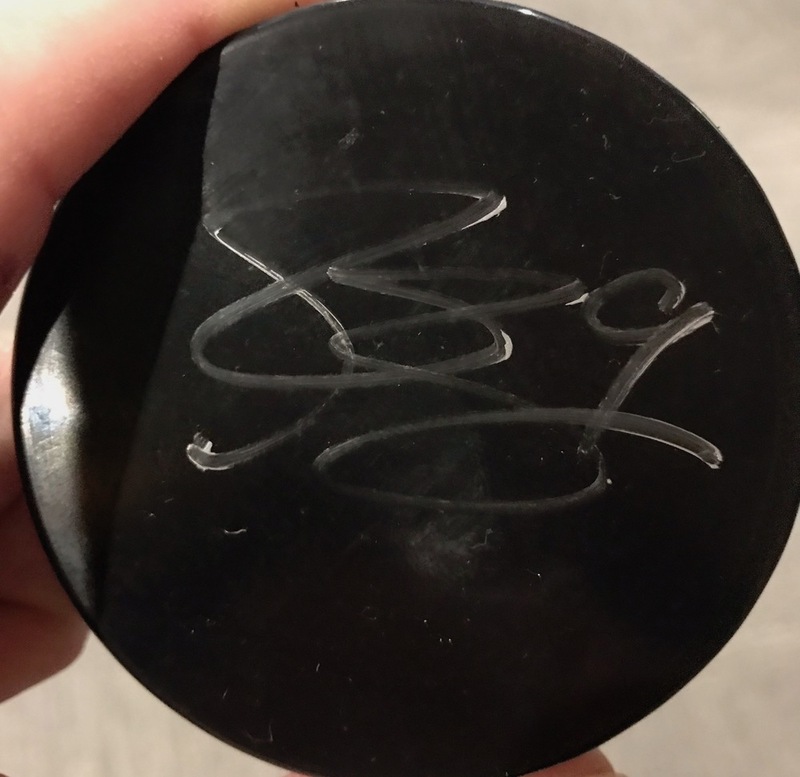 After the player is interviewed, they will sign 3 Wednesday Night Hockey branded pucks, tossing two of these into stands. The 3rd will be made available right here on NHL Auctions. Now is your opportunity to bid on this unique item. Puck image and player name to be updated once available. Click here to login and register your phone number for Text bidding. If already registered, text wnh12;<bidAmount> (e.g., wnh12;20) to +19049901334 to bid.